In a recent move that garnered little public attention amidst the tense media coverage enveloping this week’s Vatican summit on clerical sexual abuse and the protection of minors, Pope Francis restored priestly faculties to a Nicaraguan Jesuit and poet, Ernesto Cardenal, a liberation theologian and former militant Marxist. The Holy Father has graciously granted the absolution of all canonical censures imposed on Rev. Father Ernesto Cardenal, accepting the request he had recently made to him through the Pontifical Representative in Nicaragua, to be readmitted to the exercise of the priestly ministry. At a frail 94 years of age and while ailing from a kidney infection, news of his lifted suspension broke via a tweet from a Nicaraguan auxiliary bishop who admitted asking for Cardenal’s “priestly blessing” from his Managua hospital. Cardenal’s canonical punishment was ordered 35 years ago by John Paul II not because of any sexual impropriety – the cause of so much scandal today and the laicization of Catholic clergy in the highest ranks, like the recently defrocked former Washington Archdiocese cardinal Theodore McCarrick. Hardly so. Cardenal’s scandal was that he, as a Catholic priest, held political office, which is strictly forbidden by the Roman Catholic code of canon law. Cardenal, a poet and Marxist liberation theology activist, actively collaborated with the Sandinista National Liberation Front revolution that ended the dictatorship of then-president Anastasio Somoza. He was appointed Minister of Culture the same day the Sandinistas were victorious on July 19, 1979, an office that he held until 1987. 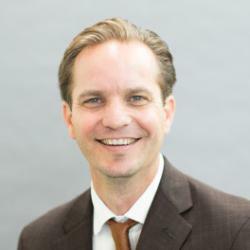 He was suspended a divinis by Pope Saint John Paul II in 1984 for violating canon law by assuming a public office that involves the exercise of civil power. 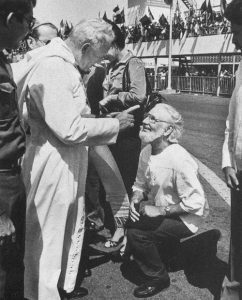 In 1983, there was a famous photo taken at the Managua airport runway in which Cardenal was seen kneeling before John Paul II, in the traditional baciamano position, where Catholic priests kiss the pope’s hand upon being received in an audience. The Cold War-era Polish pope – certainly no friend of communism and much less so of any Marxist activist priest – was shown pulling back his hand and then pointing to scold the young Jesuit idealist: “Usted tiene que arreglar sus asuntos con la Iglesia!” (“You must fix your affairs with the Church!”). Cardenal was subsequently severely sanctioned along with his priest brother Fernando Cardenal, Ortega’s Minister of Education, and Miguel D’Escoto, a Maryknoll missionary who was later elected U.N. General Assembly president in 2008. Cardenal eventually withdrew completely from active politics. However, he has always retained his legacy for anti-capitalist sentiments through his poetry, which continues to win international awards and acclaim from socialist advocates. Lord receive this young woman known around the world as Marilyn Monroe…who now comes before You without any makeup, without her Press Agent, without photographers and without autograph hounds. [Her] temple isn’t the studios of 20th Century-Fox. 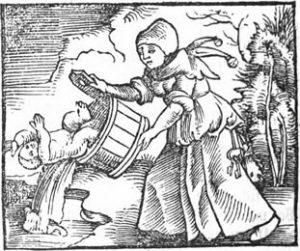 Cardenal definitely was right, even prophetically so, about the deep corruption of film producers and the sexual exploitation of women that currently plagues “Weinsteinian” Hollywood. No doubt, there are hoards of sexually corrupt producers, actors and directors willing to masquerade as industry do-gooders, just as there is widespread sin and temptation in the clerical life or any naturally good profession, corporation and human enterprise. Human sin is, therefore, omnipresent. It is rampant in any “socialist paradise” in which Marxist state-owned activities collude with political leaders and clients while extending the same suffering and human depravity to the lower classes. Even more so, when such atheist leftist regimes reject God’s existence and His natural moral order altogether. Just visit Caracas, Havana, Pyongyang or even Managua and begin pointing fingers. As a rehabilitated priest, Father Cardenal may now freely administer the sacraments and, thus, hear his last earthly confessions. Surely he will be reminded of the individual iniquity that will forever exist in any civil order, capitalist and communist, and which can only be redeemed by divine grace and by exercising our responsible God-centered, virtue-orientated freedom while actively pursuing the common good of mankind. 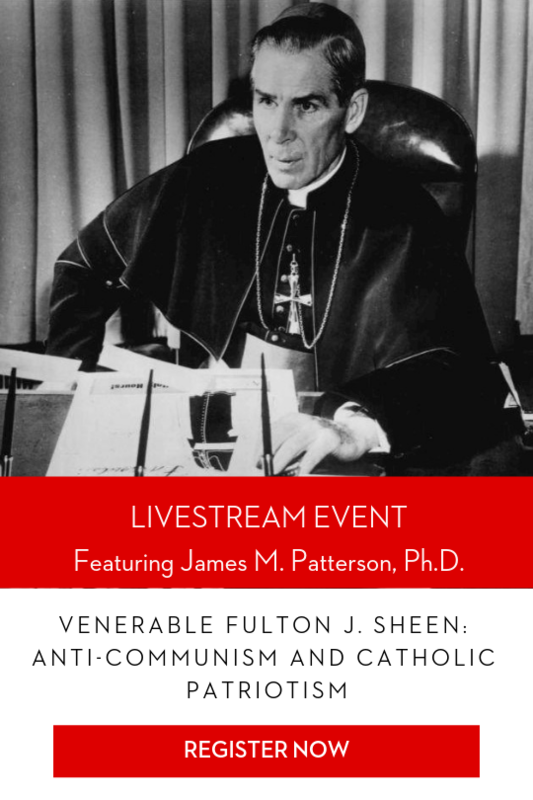 If you found this article interesting, you might want to check out the upcoming Acton Lecture on May 30, featuring James M. Patterson, Ph.D. Patterson will be speaking on Venerable Fulton J. Sheen, anti-communism, and Catholic patriotism. Click the button below to learn more and register. Is Pope Francis Welcoming Liberation Theology Into The Vatican?